Chocolate and Coffee separately as in an espresso and a square of dark chocolate is surely one of life’s great pleasures… combined in this mousse takes it to another level. I serve this with little sable biscuits or biscotti to dip into the mousse and savour every bit! 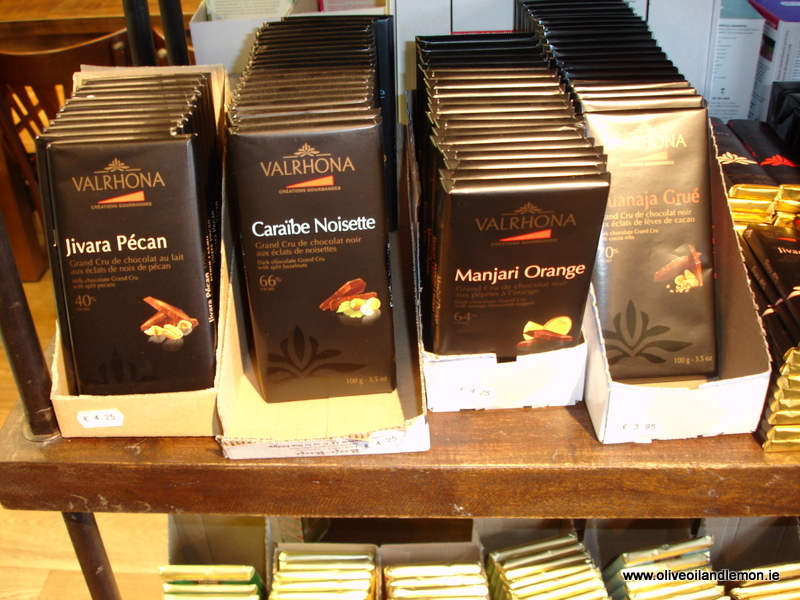 8 oz good quality dark chocolate.. if you are feeling adventurous you could experiment with a Valrhona chocolate – a Manjari orange or Jivara Pecan perhaps! In a bain marie, gently melt the chocolate with the butter sugar coffee and brandy. Make sure the bowl is not touching the hot water. Give it a stir every now and again and when the chocolate is melted fully, stir it until smooth. Whisk in the egg yolks and remove from the heat and fold in the cream. Whisk the egg whites to stiff peaks and fold into the chocolate mixture. A good tip is to quickly stir a big spoon of egg white into the chocolate mixture to loosen it and then gently fold in the rest. Pour into your service glasses and leave in the fridge until ready to serve. This will make about 8 good size portions, if you are using it as part of a duo or trio you would get at least 14 shot glass potions. And you will be able to use your own eggs for it, lucky you! I am a dark chocolate lover…have a small piece every night. This mousse has my name on it…I’ll be making it soon. 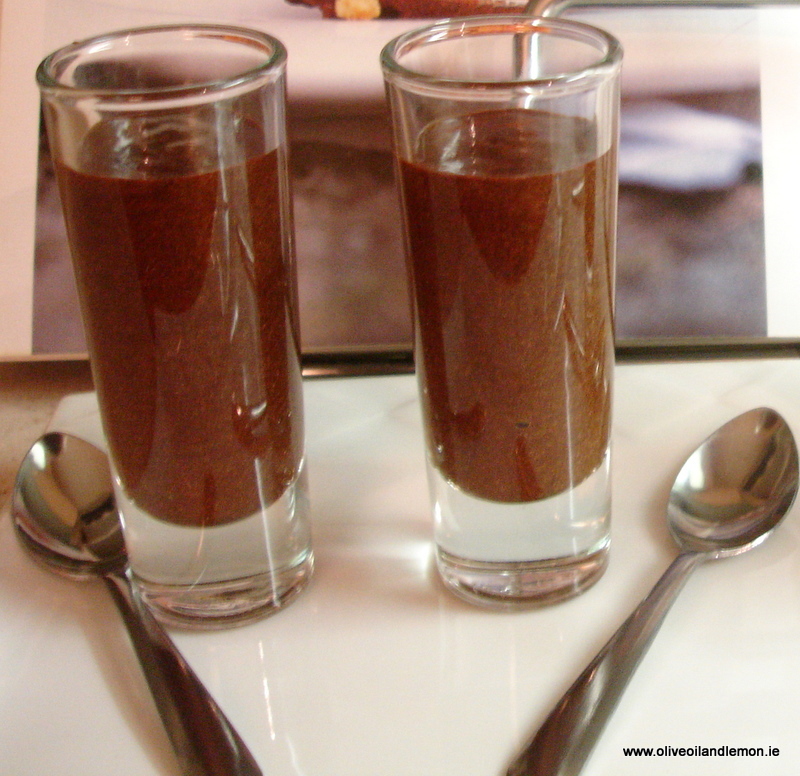 Oh man this chocolate mousse sounds and looks decadently rich and tasty!!! 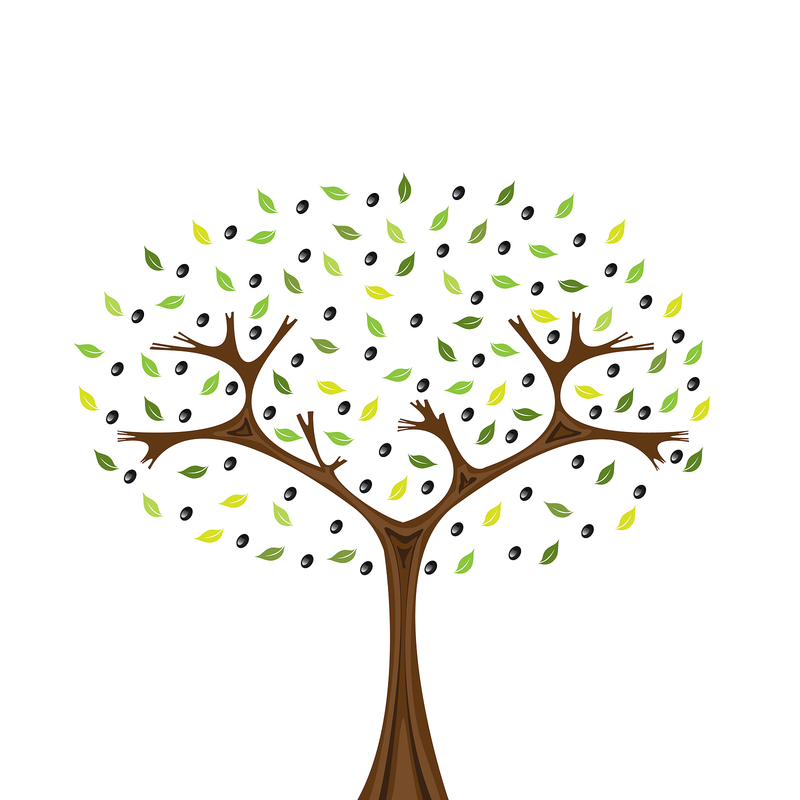 A little does go a long way!